Being present in the moment, with no thoughts or worries about the past or future, puts us in a place of pure potential. 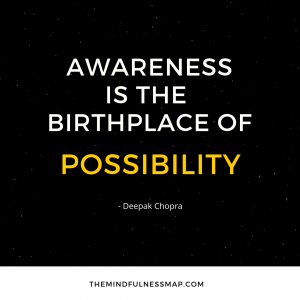 From this state of heightened self-awareness, we can develop new perspectives and creative solutions to problems that our logical, analytical side simply can’t access. Power Stress is Costly. Here’s How Mindfulness Can Help. 2018 © The Mindfulness Map. All rights reserved.